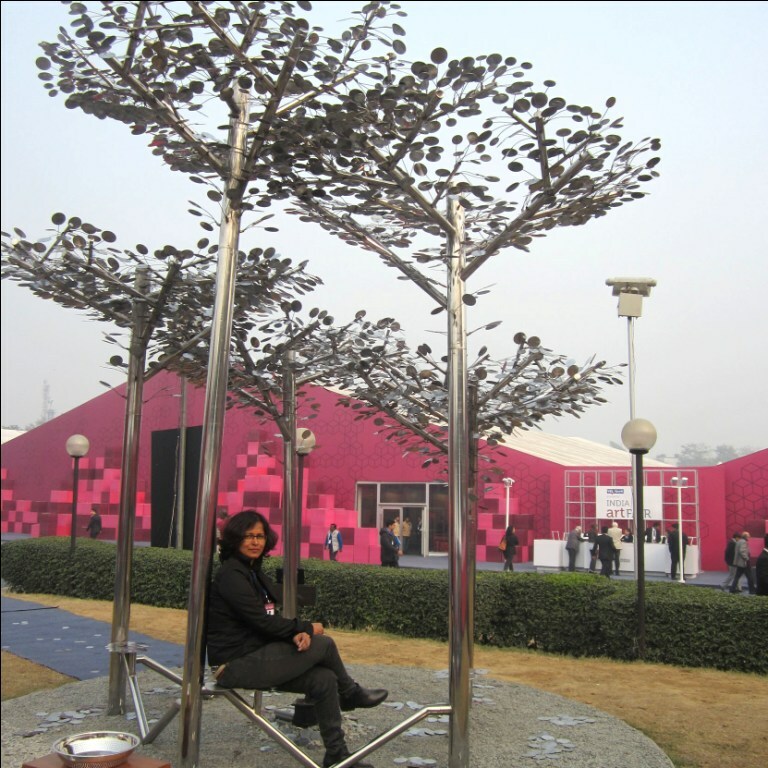 Under her project “Disappearing Dialogues”, Nobina Gupta, an alumnus of Kalabhavan, Santineketan, has been engaging with different communities, schools and educational institutions through interactive artworks, workshops, presentations, talks and collective activities to reflect on ecological losses in their area. Gupta’s project is spread over five different places: Ladakh, Delhi, Kolkata, Mumbai and Ichol village near Maihar town in Satna district of Madhya Pradesh. The exhibit is now placed permanently at Ichol in Madhya Pradesh. “It has a sound-and-lights show as one stood far from it and came near it. It raises the curiosity of the viewer and caused him/her to question the materialistic life that we are living today,” Gupta says. 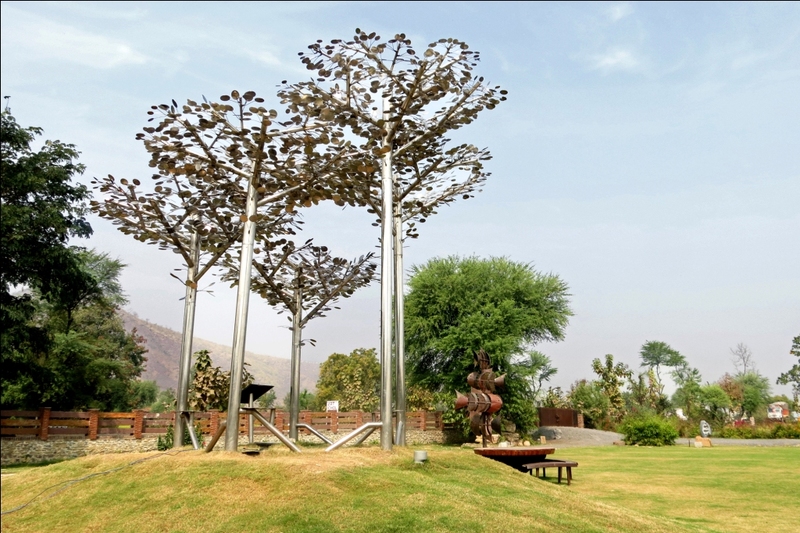 Ichol village also hosts a installations created in collaboration with local people, musicians and children, portraying the life, dialects, culture, rituals and music of the region, as well as a light and shadow performance. Her work researching and documenting the nomadic Changpa tribe of Ladakh and their indigenous culture involved “artists creating art works using the earth as a canvas with nomadic people at an altitude of 15,000 feet in the Chumathang Valley of Ladakh. The team documented how Changpas live their lives organically. 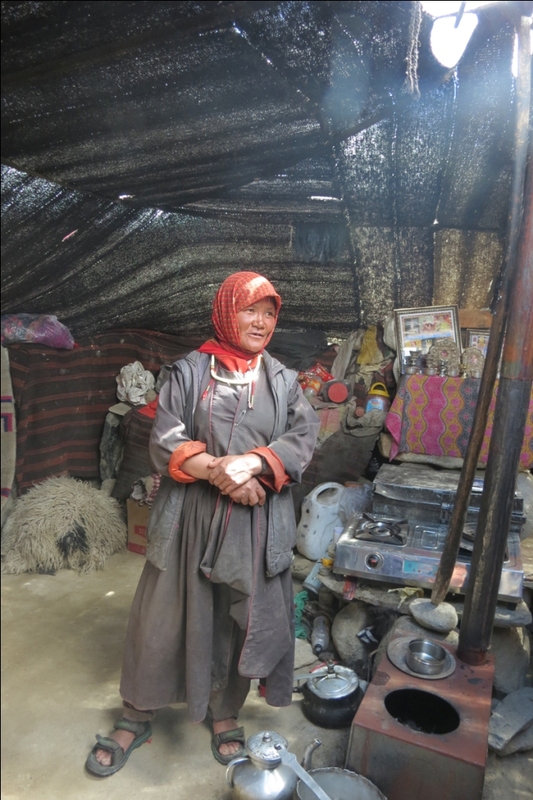 For instance, the Changpas’ traditional tents, called ‘Rebos’ are made of Yak hair and wool. 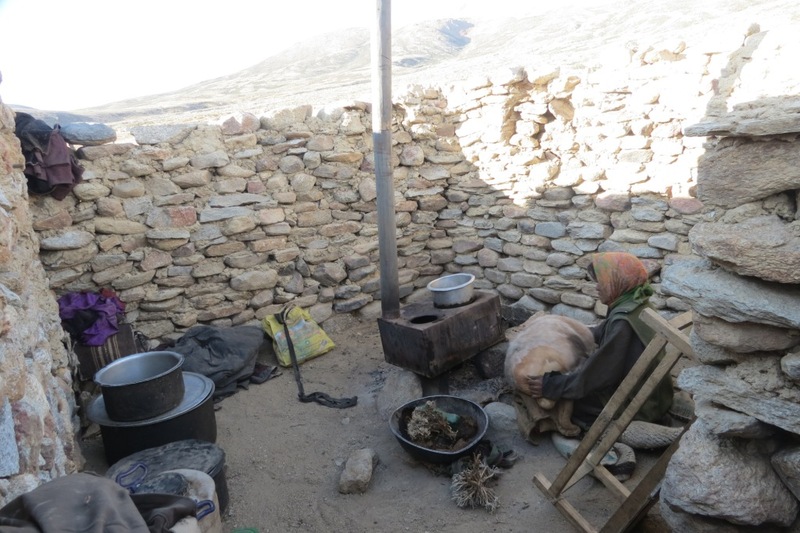 They also use products of the famous native Pashmina or Changthangi goats - from their wool to cheese and milk. The only cereal that can grow at such altitudes is barley, which the nomads use to make their native beverage, Chang. They also utilise wild herbs (“Zaksud”) which grow in the valleys as flavouring agents or medicine. But the Changpas’ traditional way of life, unchanged for centuries, was now finally beginning to give way. The new generation did not want to be herders anymore. In the process, local knowledge about plant and animal products was being lost. The group made a “pop-up” museum in schools for the nomad children to inform them about climat change. One installation used cloth to show environmental threats to the region, namely receding of glaciers. In an “environment light installation” – children held a long strip of white, transparent cloth over their heads, which they then lighted with electric torches. It was her way of “using land, wind and light” to show the importance of these resources in people’s lives. The artist's work is a timely reminder of the importance of our environment and how we could lose it one day unless action is urgently taken.